The name says it all: a beach for baby so calm that the tiny waves might not even flatten a sandcastle. Set below a tall bluff in Dana Point Harbor among shops, restaurants and walking paths, Baby Beach calls out to parents looking to feel safe at the ocean. Atmosphere: As you can imagine, Baby Beach attracts families with small children. However, there is a small launch zone for boats and kayaks within the beach boundaries so expect some other activity too. Parking and Entrance: Park in the lot right off the beach and walk right in. Nice Walks and Views: Walk along the harbor’s paths and admire the tall ships and yachts anchored there. There are also many picnic areas with shade trees. Activities for Toddlers: Let your toddler wade to his heart’s content without worrying he’ll be crushed by a rogue wave. Babies can even sit in the water and play. Check out water quality at Heal the Bay’s website before planning your trip. On the weekends, you can bring the family to check out Ocean Institute, where they can observe sea creatures in their natural habitats and take ship tours. Bathrooms: Bathrooms are at the south end of the beach. 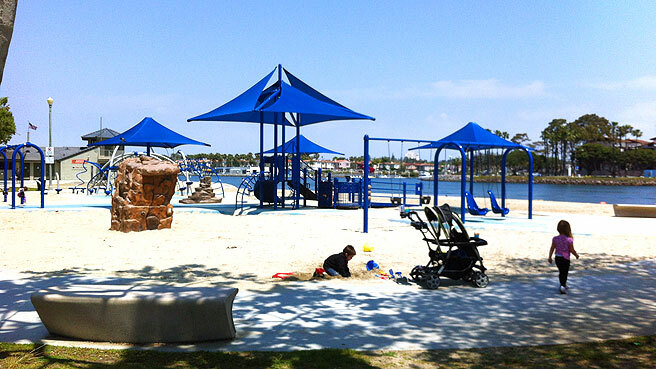 Perks for Parents: The other beaches in Dana Point, Capistrano Beach and Doheny State Beach, have open space and sports courts. 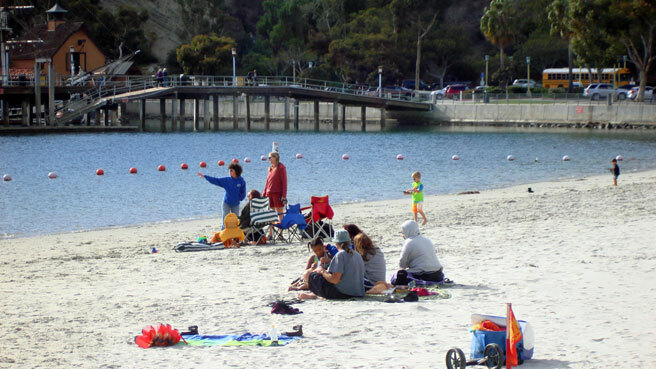 Where to Stay with Kids: The campground at Doheny State Beach is nearby and right on the sand, but the tent sites are crammed in and not very private. For a simple hotel in Dana Point Harbor, stay at the Dana Point Marina Inn. Continental breakfast. Baby-friendly Restaurants: Try the highly-rated What a Dish Café for their seasonal gourmet menu. What Else to Do: The Catalina Express leaves from here for an hour-and-a-half ride to Avalon on Catalina Island. Infants are only $5 each way and adults are free on their birthday with pre-registration.